Arbor day is right around the corner. 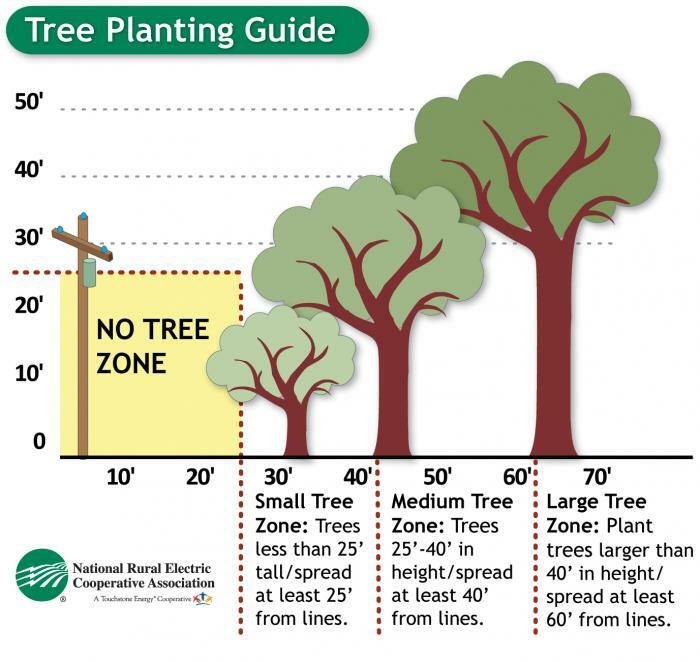 Remember that planting near power and other utility lines should account for both the mature height of the tree and the spread of the limbs. Fruit. Fruit trees are beautiful, but they are messy, too. Consider where their droppings will fall. For more information, visit our Vegetation Management Services page.